The WinnaVegas Casino Resort recently pushed its chips into a major facilities expansion. It raised the stakes, gambling on the ability to integrate an existing analog surveillance system with new networked cameras and VMS — and won big. 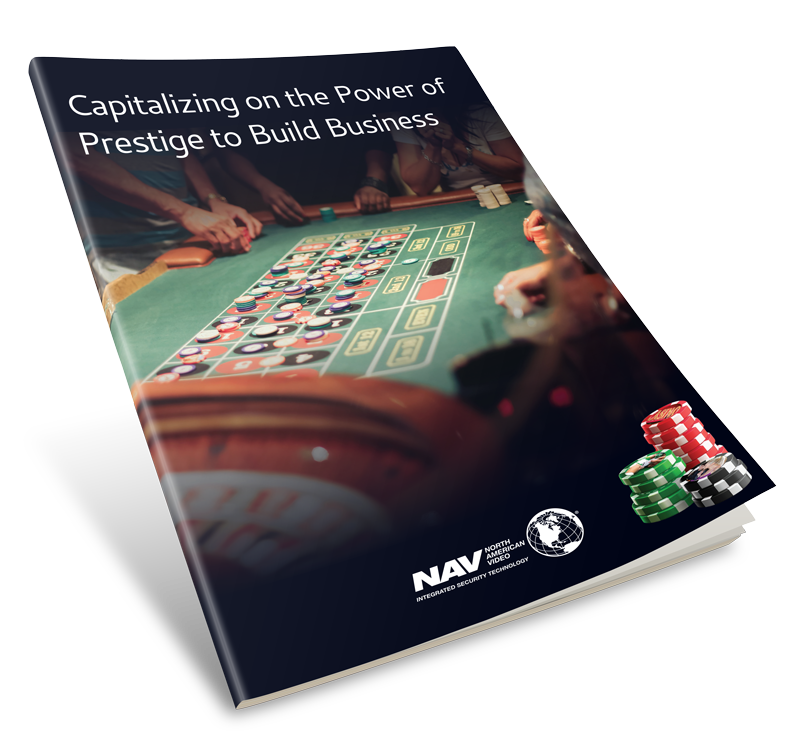 Laurie Smock, NAV's Vice President of Sales, weighs in on the benefits of high-definition IP cameras for casino security applications. NAV demonstrates commitment to customers in the Pacific Northwest by opening a new office in Everett, Washington, near the state's primary gaming area. NAV is part of the team enhancing security for Denver’s RTD travelers by installing thousands of new high-definition network cameras in stations and in trains and buses. The new HD cameras, a significant upgrade from the old black-and-white analog system, will help law enforcement identify and prosecute criminals, improving safety for the mass transit system. Compliance regulations in the gaming industry are among the most stringent of all businesses. For security personnel in the casino business, selecting, deploying and maintaining a surveillance system that satisfies all the regulatory requirements is a complex process, and success depends greatly on the knowledge, experience and agility of the integrator. More than 24% of American adults have posted comments or reviews online about the product or services they buy. What are they saying about your casino? This report will help you protect your image and reputation.